The post FENDI Debuts New Belt Bag For SS19 appeared first on BagAddicts Anonymous. Adopt-A-Puffin is a new campaign from Reyka Vodka and the National Audubon Society that aims to save the endangered puffin species by raising awareness of their rising risk of extinction. In addition to donating to Audubon’s Project Puffin, Reyka Vodka is taking it a step further by involving the public through the launch of this campaign, developed in partnership with creative agency Red Tettemer O’Connell + Partners (RTO+P). Reyka is a vodka unlike any other, made from some of the cleanest glacial water in the world and filtered with lava rocks to remove even the smallest impurities. Reyka Vodka takes pride in its land, incorporating Iceland’s natural resources through every step of the production process. This fierce pride and love for the land has inspired Reyka to get involved and fight for the puffins. Iceland is home to one of the world’s largest puffin colonies. However, due to overhunting and climate change, Iceland’s beloved seabird has been nearing extinction for many years. As this continues to become a greater threat, Reyka Vodka is determined to speak up for the puffins. The campaign includes a 30-second spot, “Adopt A Puffin!,” which features Reyka’s unofficial spokesperson, Frikki, a quirky Icelander who started popping up a few years ago on the brand’s social channels around the Euro Cup and the holidays. Here, he highlights how viewers can adopt a puffin with as little as one dollar at reyka.com. 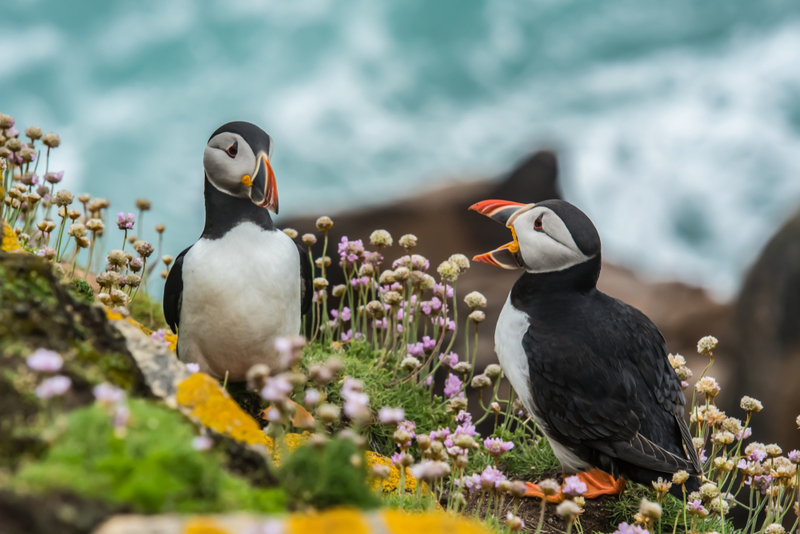 “Since Reyka Vodka is made of Iceland, and puffins are an integral part of Icelandic culture, it’s important for us as a brand to help puffins in any way we can,” says Trevor Schneider, Brand Ambassador for Reyka Vodka. “Our Adopt-a-Puffin initiative will further prevent extinction of these beautiful seabirds while allowing Reyka Vodka drinkers to make a difference and become puffin parents.” said Dr. Stephen Kress, VP for Conservation of the National Audubon Society.